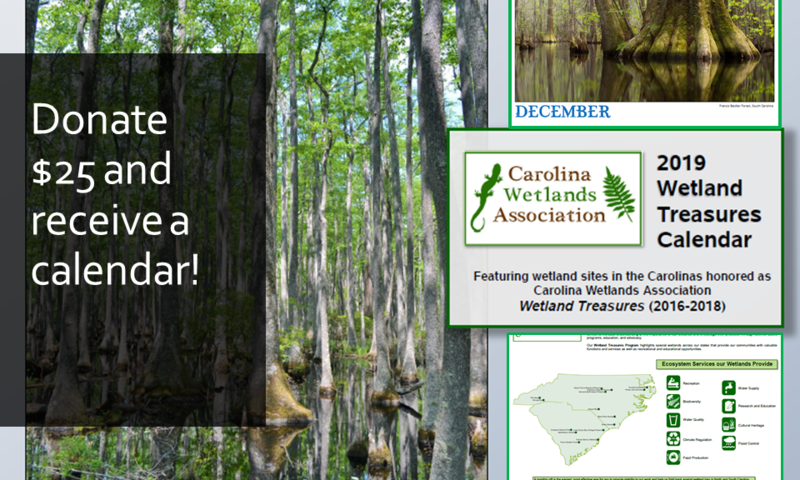 Back by popular demand, we are offering our 2019 wall calendar featuring all 15 Wetland Treasures of the Carolinas. During November and December, everyone who donates $25 or more will receive one calendar. Donate through PayPal Giving Fund, click here. CarWA a 501(c)3 organization. Your donation is tax deductible to the fullest extent allowed by law.